This calculator will help you decide if it’s cost effective to travel further for cheaper gas. First enter the average number of gallons of gas per fill and your car’s MPG rating for city driving. Then input the cost per gallon of gas at the nearest station and the distance you’ll have to drive to that station. After that, include the cost per gallon of gas at a cheaper station and the distance you’ll have to travel to that station. Push CALCUATE, and you’ll discover if it’s truly worth going the extra mile. From the minute we get behind the wheel as teenagers, we all know the woes associated with paying for fuel. There are many ongoing expenses that go hand-in-hand with vehicle ownership, to be sure, from annual registration and insurance to both the known and unknown costs of maintenance, and that's all in addition to the sticker price of the car. 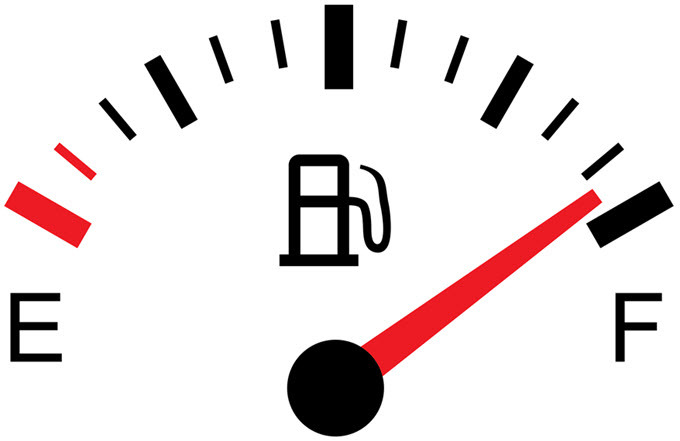 But if you want your vehicle to get you where you need to go, purchasing fuel is unavoidable. And depending on how much you drive, it could become a major expenditure. Of course, there are definitely ways to cut back on spending at the pump. You can not only strive to conserve fuel, but also cash when you become aware of your driving habits, understand how fuel consumption works, and look for ways to stop hemorrhaging moola when it comes to owning and operating an automobile. Fossil fuels are a finite natural resource, which means the cost of using them will only continue to rise as they become more and more scarce. Conserving, now and in the future, is the key to avoiding that expense. Here are some great ways to lower your fuel costs. It sounds fairly obvious, and yet, it's not all that easy for adults that have grown accustomed to the convenience of having a personal mode of transportation. That said, driving is a privilege, not a foregone conclusion, and if your budget is at its breaking point because of the costs associated with driving, you might want to non-op your car and park it in the garage, or even sell it and look for alternatives to the one person, one car mentality that has led to outrageous fuel costs and rampant pollution. What you'll likely find is that there are all kinds of alternatives that will suit your purposes, once you get used to the idea of not having a car at your disposal. Mass transit is a great option for many people, especially if you happen to live in an urban area that features both buses and trains. And if you like the idea of physical fitness, you can definitely change your schedule to accommodate biking. You can even walk to amenities within range. Of course, it may not be entirely practical to give up your automobile completely. But you can still conserve by swapping out your car in favor of other options at least some of the time. And you can always look into carpool or rideshare opportunities in order to drive less and thereby use less fuel. We're mostly past the days of gas-guzzling behemoths that only get ten miles to the gallon. But if you're still driving a standard, petroleum-fueled vehicle, you're definitely paying more than you need to for transportation. With so many fuel-efficient options on the market today, you can definitely decrease your fuel expenditures by selecting a product designed to run on less (or no) gasoline. Electric vehicles are the pinnacle of this movement towards sustainable transportation, but if you're not quite ready to make the leap to this cleaner technology, at least consider hybrid options that split locomotive duties between electrical and fuel engine components. Or think about alternative fuels. Driving a clean diesel vehicle could nearly double your gas mileage. And biodiesel, compressed natural gas (CNG), and other fuel options are popping up, too (although stations that carry them are still a bit difficult to locate). You might be surprised to learn that cutting costs at the pump is as easy as joining a club. Not only do many fueling stations like Mobil and Shell offer such rewards when you use their credit cards (just make sure to pay them in full and on time to avoid added interest payments), but you might also benefit in unexpected ways from joining a local grocery club. When you sign up for a club card at Safeway or Kroger (or other stores associated with these chains), you'll not only enjoy lower prices in-store, but every purchase could help you rack up points that pay off at the pump, provided you visit their affiliated stations. There are several applications for mobile devices that are designed to direct you towards the most competitive fuel prices in your area. But one of the best is called GasBuddy, and it not only tells you where to find stations in your area, but also how much fuel will cost you at each location. It can even direct you towards stations that offer diesel or other fuel types, and you can earn points for reporting prices at stations you visit (if you're into the whole gamification aspect of everyday apps). They also give away gift cards for fuel purchases and you could be a lucky winner. The AAA TripTik Mobile app is a similar option that also includes a slew of other features (hotels, maps, directions, etc.). Did you know that fuel prices change throughout the week and they tend to go up in anticipation of weekend travel? For this reason, it's a good idea to make your purchases on Thursday morning at the latest if you need to refuel before the weekend. There are many ways you can improve your driving habits in order to conserve fuel and cut costs. For starters, you can stop driving like a maniac - gunning the engine from the starting line, putting the pedal to the metal, and then slamming on the brakes. It’s no surprise, but driving more conservatively is a great way to conserve. You can also remove unnecessary weight from your vehicle, make sure tires are full and the engine is tuned, and avoid using the AC as much as possible. But the biggest boon may come from taking the time to plan your routes in an effort to make every trip more efficient. Some stations, like ARCO, charge significantly less to customers who pay cash at the pump instead of using credit or debit cards. The price could be 5% less than what others are charging. This will mean carrying plenty of cash, and you might have to wait in line for gas if you go at peak hours, but if there's an ARCO along your daily route anyway, you only stand to gain by frequenting it. And every little bit helps when you're trying to spend less on transportation.